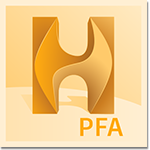 For more details on product capabilities visit Helius PFA product page. Note: This product is available to the education community as a Network License only. For details on Education Network Licenses visit our Autodesk Knowledge Network.